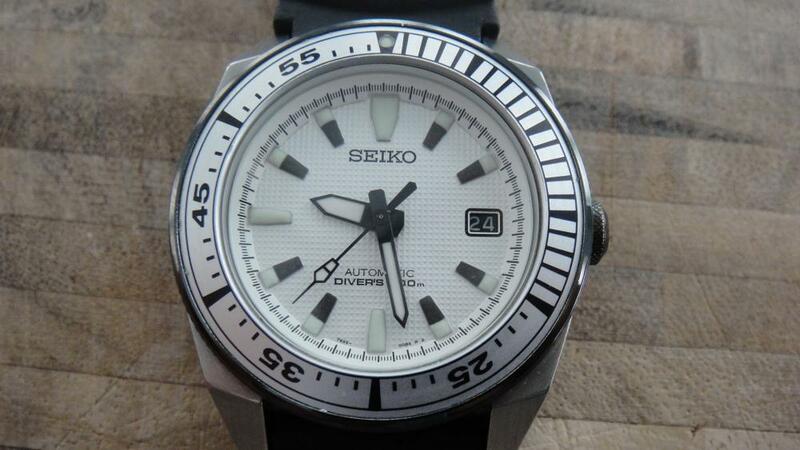 Custom Seiko Samurai with White Dial. In great conditionthere few marks on the watch but you can not notices itand a dot on the cystal. watch is in good condition and as the best elements of dial,it comes with no box or paper.